I remember this recurring nightmare I had as a kid where these giant letters would fall on me and crush me. And to this day, I’m uncomfortable in libraries of anyplace where things are alphabetized in a certain order because I don’t really see the order. I think being dyslexic also can be an asset in many ways…. It teaches you to really learn because you can’t memorize things. You have to understand them to get by. 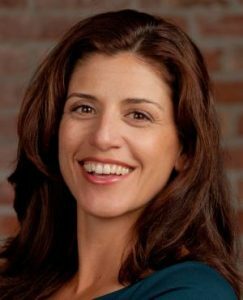 Nicole Betancourt is an Emmy award-winning producer and director of documentaries and short video, and the daughter of author Jeanne Betancourt.